Precor has been building commercial-grade equipment to withstand the repetitive, rigorous workouts of health clubs, hotels and spas for years, so they earn their reputation on quality and durability. 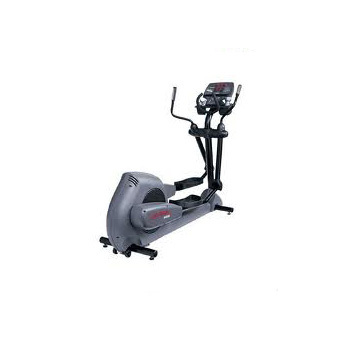 The EFX 532i is features patented CrossRamp technology, which alters the elliptical path between 15 and 40 degrees in both forward and reverse stride motions, isolating and cross-training specific muscle groups and offering a wider range of exercises for all lower body muscle groups. 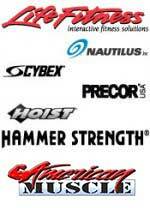 The EFX 532i offers six preset workouts: Manual, Interval, Weight Loss, Heart Rate Control, Gluteal, Cross Training. Its durable 6-phase generator system has no contacting parts, reducing friction and wear and provides 20 levels of resistance that range from 18 watts (level 1 at 20 SPM) to 720 watts (level 20 at 100 SPM). Touch heart rate sensors are located on fixed handlebars for increased accuracy and ease-of-use by exercisers of all sizes. Or use any Polar compatible 5 KHz wireless chest-strap transmitter (not included). Console displays calories, heart rate, profile, Smart Rate, resistance, incline, strides, strides per minute, time elapsed, time remaining, percent complete, workout summary and heart rate analysis. 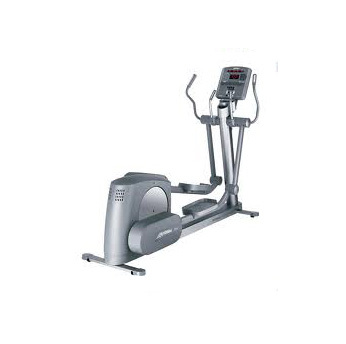 Maximum exerciser weight is 350 pounds with maximum stride length of 25 inches. 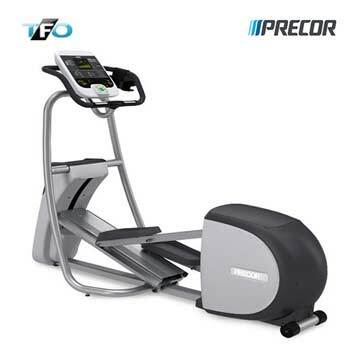 The Precor EFX 532i is covered by a Lifetime warranty on the frame and welds, 10-years on parts and wear items and 1-year on labor.